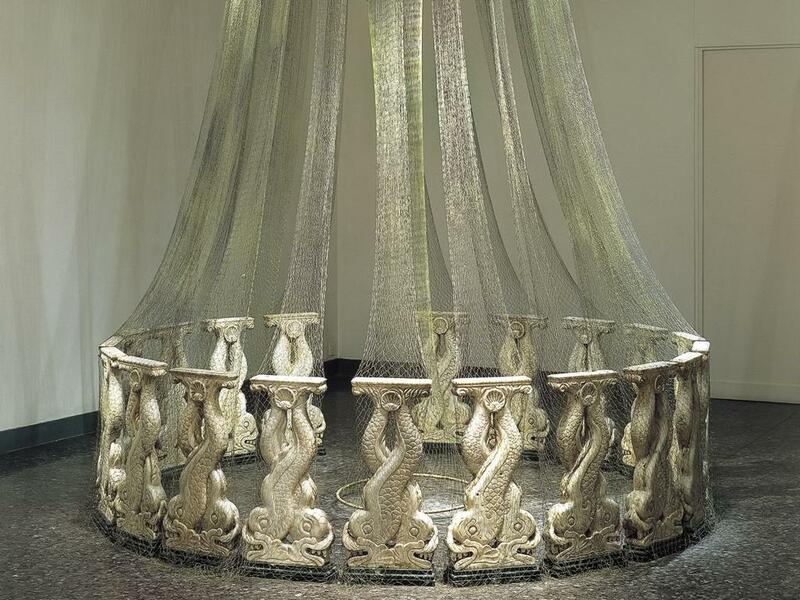 Materials: white Carrara marble, green marble, bamboo, net. Dimensions: m. diameter 2,55 x h. 3,55. 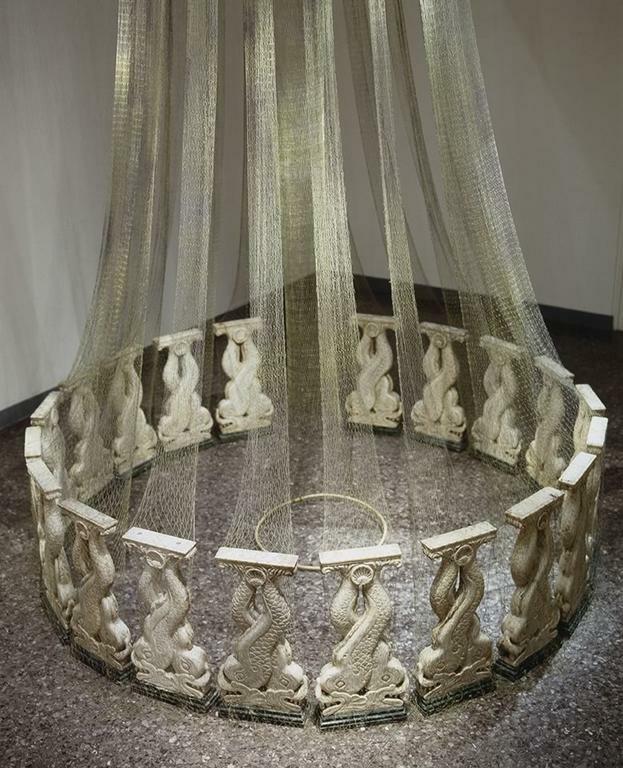 The work, created for the annual show of the Roman galleries, appears as a round pavilion made up by twenty pairs of intertwined heraldic dolphins. 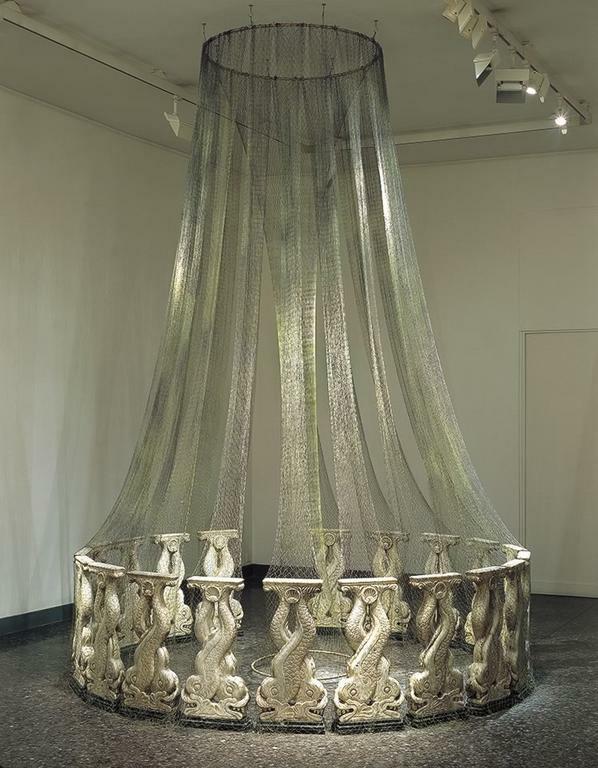 Every individual sculpture, carved in white marble on a green marble base, carries a letter of the inscription carved on the upper part, and is caught in a fisherman’s net that rises to join itself with the other, as if in a ‘nassa’ (a type of net). The structure can be walked into and this creates a multiplicity of viewpoints, a visual and spatial osmosis between inside and outside that amplifies the open symbolic representation of the work, pagan and Christian together. The desired mix of classical references with elements of Baroque decoration, held in the net, suggests the idea of a vast and ancient culture, captured and immobilized.